The first time you might have read about the BMW M8 was in 2013, when Designworks USA, a subsidiary of BMW, came up with a PC called the M8 that was pegged as the ultimate gaming beast. Recently, we drove the handsome convertible from BMW, the M850i xDrive and found it to endorse all the traits of sheer driving pleasure that BMW has stood for in the years. 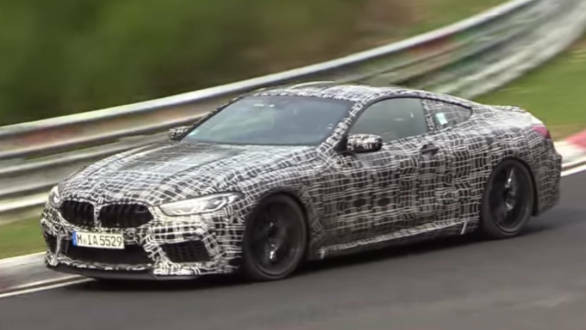 But then if you want a full-spec performance car from with 8, it has to be the BMW M8, which was recently caught testing on the famous Nurburgring circuit. This one looks production ready for sure. 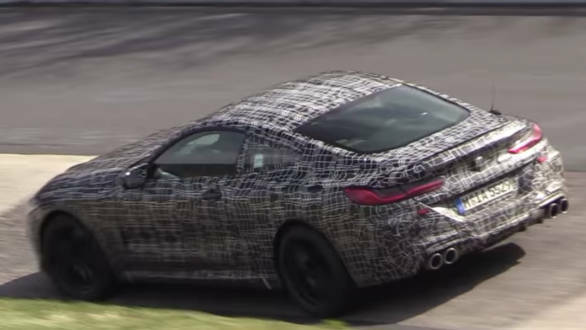 Under the hood of the camouflaged BMW M8 is a 4.4-liter V8 engine. The test car that is seen taking corners at great speeds on the the Nurburgring circuit can be heard making a raspy exhaust note. BMW has not revealed any power and torque figures that would be produced by this engine. It is being speculated that this V8 will churn close to 600PS in the production version. And that's not it. There will be an even more powerful version which will come in the form of the M8 Competition, a track-friendly offering from the German car manufacturer, that is expected to spit around 630PS. Both the engines will be mated to an eight-speed automatic, sending power to all four wheels. We believe BMW could even throw in a 2WD mode in the M8, much like the M5 that should make sideways action around the corners. It is already known that the 8-Series will be offered in convertible and a two-door coupe versions too. The four-door version, we believe, will arrive sometime in 2019. 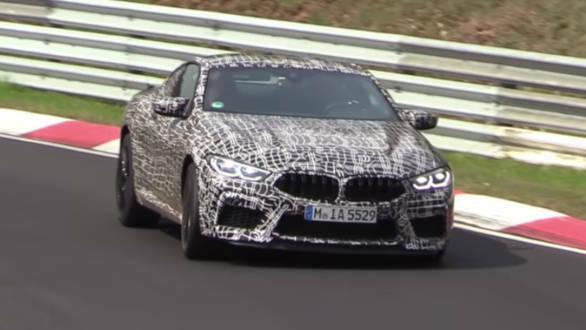 The design bits that we see on the M8 Gran Coupe might also make it to the upcoming large coupe/sedans, especially the large grille and the fastback styling of the rear. Meanwhile, BMW India has launched the new 2019 BMW Z4 roadster in India at Rs 64.9 lakh for the base sDrive20i variant. The top-spec M40i costs Rs 78.9 lakh. Both prices are ex-showroom India for the CBU. The range-topper will be the M40i with its in-line six twin-turbo motor. This puts out 345PS and 500Nm. Top speed is 250kmph and 100kmph from standstill comes up in 4.5s. The claimed fuel efficiency figure is 12.82kmpl. The sDrive20i will be the other option for buyers here. This gets a 2.0-litre in-line four turbo with 200PS and 320Nm. BMW claims a 0 to 100 kmph time of 6.6s and a 240kmph top speed. The smaller motor means it returns a 14.37kmpl figure. These come paired with an eight-speed auto. Other features are sport suspension with variable sport steering, electronically controlled dampers, an M Sport braking system and also an electronically controlled M Sport differential, apart from the various drive modes. BMW also claims the Z4 has 50/50 weight distribution. More details here.